As an athlete (and especially a proud ALL NATURAL athlete) I find this very disturbing and scary!! 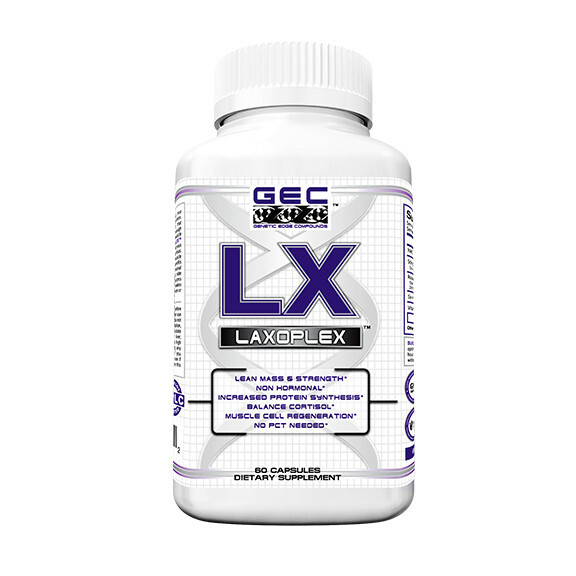 Laxoplex was designed as a prohormone alternative that yields similar results with no hormonal impact or toxicity. Designed for increasing lean mass & strength, this unique product is non hormonal, promotes lean dry gains, helps to regenerate lean muscle tissue, balance cortisol and has been thought to increase protein synthesis up to 200% in some cases. The active ingredient Laxogenin plays a major role in this prodigy because of it’s protein synthesis benefits. We’ve added a few other ingredients that help in improving the potency including Stinging Nettle Root that helps to block SHBG from binding to testosterone allowing the body to use more “free testosterone”, an important factor in muscle building, and also Vitamin E TPGS-which is used to improve bioavailability of absorbed ingredients acting as an absorption and permeability enhancer. The FDA issued a safety recall today. You can read the ENTIRE release HERE. But in short, FDA analysis found GEC Laxoplex to be tainted with anabolic steroids and steroid like substances. 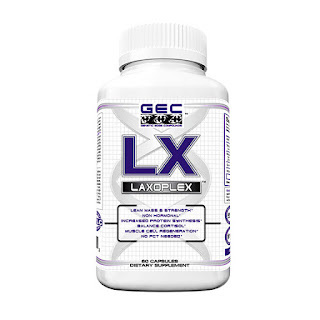 The presence of these anabolic steroids and steroid like substances in GEC Laxoplex renders it an unapproved drug for which safety and efficacy have not been established and therefore subject to recall. You can purchase GEC at various nutrition stores and online. This is a PERFECT EXAMPLE of why it's important to be VERY careful about what supplement company you use!! I've said it a million times .. supplements are NOT required. They are just that .. a SUPPLEMENT. But if you are going to use them ... please make sure you aren't just buying what is cheap, what is on drugstore shelves, or what your nutrition shop or favorite athlete is "pushing". DO RESEARCH ON THE COMPANY and their manufacturing process, etc. This is why I stand behind 1st Phorm . Each product is tested and tasted hundreds of times for flavor, consistency, results and QUALITY. They search out and source only the highest quality ingredients to go into each product. With 1st Phorm, you won’t find fillers…just top grade, premium, result-driven ingredients in their prime efficacious dose. If you have any questions about these products I'm always happy to answer your questions! Just email me at simplystacyfitness@ahoo.com or find me on INSTAGRAM.